Finally, the last outfit from my holiday to share with you! Does anyone else really struggle with naming their blog posts when they’re outfit posts? I never know what to call them so here is a totally un-imaginative named post for you..
I’m back in Ipswich this weekend which is really lovely. Nothing will ever beat being at home. I got back yesterday to find my blogosphere magazines which I finally subscribed to – who knows why it took me so long, along with a little surprise bit of blogger mail! It’s the first time I’ve been sent something without expecting it which was a very nice surprise – I could totally get used to it. Last night I went to the theatre with mum, we love having our girly nights out together and I hope we’re still doing it when I’m 30. This little playsuit was from Primark a few years back and it’s stayed in my wardrobe since – it’s such an easy piece that I don’t think I’ll ever get bored of! 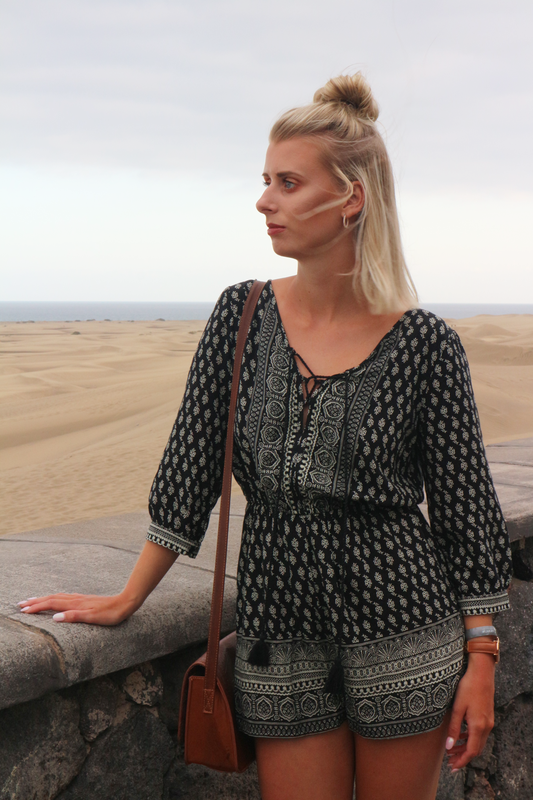 I’m a bit sad to say goodbye to my holiday outfits – I am totally missing the sunshine, but it’s time to get my knitwear on. Expect some cosy, more appropriate outfit posts soon!